Our cave-day ancestors were probably very clever, resourceful, rational, logical and pre-scientific. They had to be so in a difficult world in order to stay alive in a hostile, barely supportive environment. They had to be so to bring generations of us forward 200,000 years for humans to the point that we all now exist. They brought us here through their great capabilities to survive and determination to drive our species generation by generation forward in time. Always working on improvements, I can picture one of these primitive persons blowing on a leaf and watching it tremble, wavkng side to side, as a result. What does this mean? As he tries to figure out the way that the world works, his blowing on a leaf helps bring about an understanding of cause and effect. Yet, when a whole forest of trees tremble in the wind, I can imagine him thinking that a giant supernatural god lives on the other side of the mountain or up in the sky behind clouds — one capable of giant breaths — exists. After all, it is a reasonable supposition if one doesn’t know about wind convection and other related factors, which were later understood. Accordingly, the other prior interpretation of reality that he had is reasonable and logical as a substitute given the state of scientific knowledge at the time when he lived. Personally I can’t ascertain whether there is a god, gods or not. I haven’t been, I suspect, born with the so-called god gene and tend to favor evidence from a scientific and factual foundation over faith and imagination. the imagination that our cave ancestor may have had. I guess that I just wasn’t hardwired that other fanciful or, alternatively, faith-based way. The God gene hypothesis proposes that human spirituality is influenced by heredity and that a specific gene, called vesicular monoamine transporter 2 (VMAT2), predisposes humans towards spiritual or mystic experiences. So my three gods or three parts of one god, presuming the actual existence of any parts or gods, are the “god within” for starters. This first one is wondrous. It causes people to have compassion, empathy, caring and sharing acts, heroism to save lives of others and wonderment about the world. This god gives courage when one fights social injustice, serves humanity in many diverse ways, sacrifices for others and helps the natural environment. The second one is god of Ecclesiastes. It is a position that Buddhists, in my limited understanding, reject. It is the god of vagaries and change. We get swayed by this god to be happy one moment, angry the next, sad the next and so on rather than to watch the world as an ever changing movie of experiences and be detached, but loving toward it all. The ugly god in my set or the worst attribute of an one god is this one — the butchery and killing god. It is the god of evolution, the god of food on your plate, the god of my mother dying because pneumonia germs gobbled her up, the god of animals and plants being eaten while alive by other ones (like a deer eat from her belly inward while consciously experiencing the event onward up into her womb where an infant almost ready to be born, tender meat, existed. And let’s not forget the god of forest devastation (and all life that lived in a forest) so that we can have the wood turned into housing products, paper and other goods. A man saw a deer crashing through the woods. It looked as if it had a gray cloud of fog surrounding it. It was running as fast as it could. The cloud was a swarm of mosquitoes and every millimeter of its body was covered in them sucking blood. Yet the deer could not outrun them and fell drained of blood to die. If you think people act any better than these mosquitoes, then look at war footage or at animal factory farms. Look at our slaughterhouses. 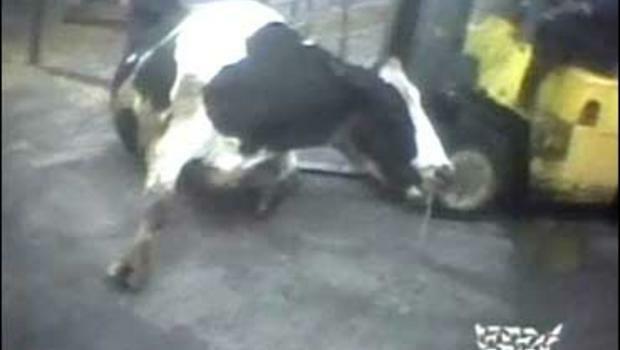 Undercover video shows sickened cows, too weak to walk, being jabbed with forklift blades, kicked, shocked and even sprayed in the face with powerful jets of water by workers at the Hallmark Meat Packing Company in Chino, California. The cattle industry and animal rights groups bickered over the treatment of beef destined for U.S. dinner plates a day after secret video triggered the nation’s largest meat recall. If you like the god(s) of evolution, all power to you. You can enjoy the carnage of the powerful against the weak whether in wars or humans pitted against the natural world as we build empires of consumable products at mega-stores and elsewhere located. If you like being manipulated by momentary and passing feelings and other sorts of reactions, love the god(s) of Ecclesiastes. He or they can help you have a replete experience, I’m sure, as you get manipulated by passing circumstances. The only one that I could tolerate is the third one and if I offend any god(s) by selecting my position of respecting this orientation, watch about how I would react in Hell (if there is such a place of torture for enacting wrongs in life). Watch me in Limbo (if there is such a place). Watch me in Heaven(if there is such a place). As a matter of conscience and from the deepest part of my identity, I would be unacceptably difficult in any of these locations since I always try to bring into being rightful behaviors based on caring. This directly above outlook, in my view, includes the cow, the pig, the plant life on this planet, the human living in the greatest slums in the world and other travesties across the whole world. They are my brethren. … Do you find anyone, a distant human kin of yours, living like this acceptable? I, personally, do not find it endurable, So I’d be so totally obnoxious and a fighter-supreme in all three locations in which I’d be thrown out since I do not want rewards in Heaven, punishments in Hell, nor an in-between state in Limbo. I have no use for any of these states. None. Adamantly, none! I’d just rather blink out of existence or be free to roam to continue efforts to try to uplift the world involving people and the natural environment since both need great ongoing help until the point that the Earth is destroyed by the enlarging, spent sun consuming it..
No, I do not want rewards,, nor punishments. I do not want anything in between those two states like Limbo. I just want life to carry out well on Earth after my passing. I used to drive Jehovah Witnesses loopy when I told them that I do not care to please God. I only wanted to do whatever is right, good, just, moral, compassionate, empathetic, kindly toward the world. Accordingly, I would not be controlled by a deity whose views may be contrary to mine. I would never serve wrongfulness as best as I could manage regardless of an all-powerful leader (a God or a king) trying to get me to conform. Perhaps I am an “oddity.” I don’t care about amassing as much money as I can in this life to give myself as much advantage as I can. I don’t care to march in lock-step to invade other species or other nations so as to decimate them and steal their resources. I don’t care about being accepted in Heaven for being a so-called “good” person. How facile a view! Instead I want to help ALL life forward to a good point and if there is a life after death, I want to continue in the effort. It’s that simple since to not be that is to not be myself as a person. I’d have had to be transformed into someone else to conform to god(s), the devil or something else. No way! I will not be taken from myself, my core central self, as long as my consciousness exists! I will not become a different self regardless of consequences that are posed to me as an afterlife bringing me something good, bad or in-between. I don’t care about whatever god or gods bring your life meaning. My only hope is that you can help bring life forward with fervency on this planet regardless of your religious views. Go ahead, Believe in whatever god or gods that you like to follow. I’m happy that he, she, it, them give your life meaning based on your indoctrination into whatever view that you have. Just don’t expect me to conform to whatever version of reality that you have. It will never happen since I have an ultimate goal to serve life and not Kali or any other God or Goddess serving destruction rather than support of life around us. So in the end my position is quite simple. Come what may for me personally for now and/or hereafter. my stance is firm and clear. Gorgeous, Sheshu! I LOVE your reply. It deserves meditation time from me.